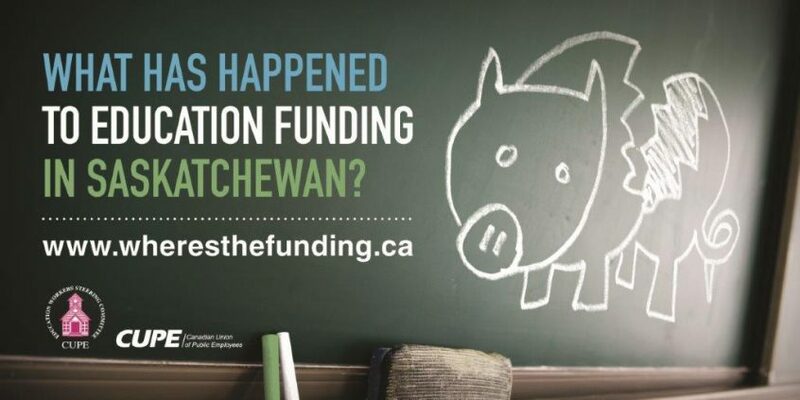 Education workers gather in North Battleford to talk about issues in K-12 sector | Where's the funding? NORTH BATTLEFORD: Education workers from around the province will be gathering in North Battleford for the annual CUPE Education Workers’ Steering Committee Conference to discuss some of the urgent issues in the education sector. Over 50 people will participate in three days of discussions on a variety of topics, including funding cuts in education, workplace health and safety, and trends in bargaining. CUPE represents 7,000 support workers in pre-K-12 education in Saskatchewan, including educational assistants, facility operators, administrative assistants, clerical assistants, secretaries, school bus drivers, caretakers, maintenance workers, library assistants, nutrition coordinators, information technicians, social workers, counsellors, community school coordinators, interpreters, speech and language assistants, and other school support workers.